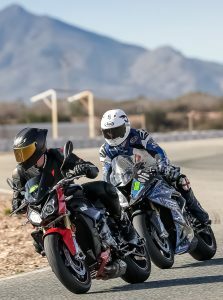 I coach one person per day when pre booked by a coaching client at a trackday of their choice. I don’t do ‘open pit lane’ days in the UK, I don’t go to a trackday unless pre booked and my UK coaching doesn’t start before the 1st of April. 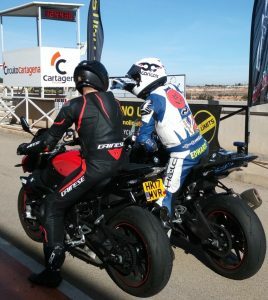 To arrange coaching with me you find a track that you are comfortable with, I’d recommend picking one you’ve done before and are confident at; then find a track day company and suitable day, it’s best if you can offer me a selection of dates so that we can find one that works for both of us. Once we’ve settled on a date, you book and pay for two places in a suitable group, you may have a better idea to start with which sort of group you’ll be comfortable in; sometimes there is the opportunity to change groups during the day, should it be necessary. Before booking if you are in any doubt about the group please ring me and we can discuss it further. Once you have booked and paid for two places, you email me the booking reference then I send you two copies of my terms and conditions. When you’ve read through them, and if happy, sign both copies keeping one copy for your records and return the other one to me with the deposit for my day rate. Additional expenses depend on which track we use, and the price of fuel; I’m not looking to make money but to cover my costs. Croft, Oulton, Cadwell and Donington Park I travel to on the morning of the coaching day, but for all other tracks my additional expenses include the cost of a B&B the night before. The balance of my day rate and the additional expenses are paid on the morning of the coaching day. Euro trackdays, I’m happy to coach on them; my day rate is the same as a UK day, but obviously the track day cost and getting there is a different consideration from a UK trackday. If it’s a multiple day and you don’t want to do each of the days yourself, it can help to share the total track/travel costs if you can find other riders on the same trip to share the costs by having a coaching day each themselves. I can’t give an exact cost of the Euro days, as it depends when and where; I may decide drive myself rather than use the trackday transport package, as sometimes it’s not convenient have the coaching bike out of commission while it’s travelling on the truck. If you fancy Euro coaching please get in touch and we can discuss costs when you’ve decided when and where you fancy going. A bit about me, I’ve raced something every single year since 1982; as an International motorcycle racer, with multi British Championship titles, an FIM Euro championship, and wins on the ‘pure roads’ at the Macau GP, and the NorthWest 200. 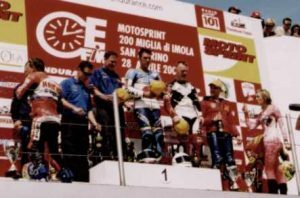 I love endurance racing, having enjoyed many World Endurance podiums and the last Briton to win the Imola 200. My credibility, history, experience, in-depth knowledge and subsequent success in this branch of motorsport runs true and deep. I now enjoy sharing my wealth of experience and knowledge of the sport, trying to put something back, through circuit guides, hints and tips videos and one to one on track coaching as an independent ACU certified commercial road race coach. 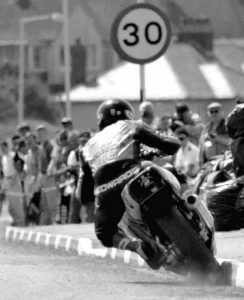 Click the great photo by Dave Burr of me ‘kerb crawling‘ at the North West 200, to visit my regular website.